Rock screening plant is suitable for sieving crushed slate rock. SBM Machinery is professional slate screening plant manufacturer in China. SBM Machinery designs and manufactures a world class range of screening equipment boasting excellent productivity and reliability for our customers in the material processing industries, especially for aggregate, sand, gravel industry, recycling industry, ore mineral processing industry. The screening plant is designed to be easily transported, set-up, operated and maintained. The YA range of multi-deck vibrating screen has double-deck, triple-deck even 4-deck for the clients. All of them also can be placed on wheeled or tracked trestle stand. The high capacity, heavy duty, versatile sieving machine is capable of screening and separating bulk crushed slate rock in the storage. SBM has set up the complete slate processing plant in Kenya, USA, Canada, Russia, South Africa. SBM offered slate crushing machine, milling equipment for slate mining company. "Slate screening plant is suitable for sieving and separating the crushed slate rock. 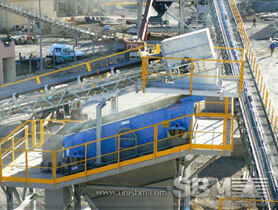 Slate screening plant can be obtaind from SBM Machinery ! "